and the fireflies appear in your favorite old haunts. above your head to beckon you deeper into the forest. that mingles with the sweet honeysuckle. paints the highest pine limbs with lavish splashes of pink. ever pulled you from home in the first place. 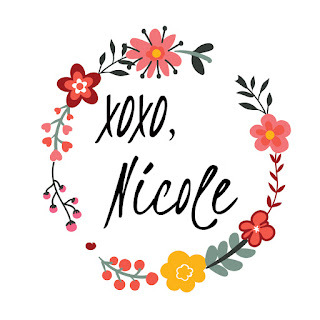 I have big news that I am so excited to share with you. For a long time, I have wanted to hear Clark Whittington, the visionary founder of Art-o-mat, talk more in depth about this incredible, contemporary art project. 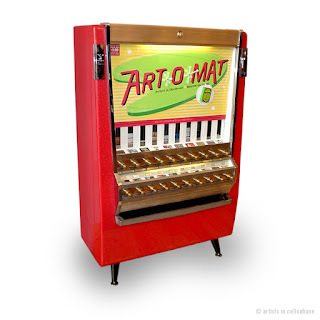 This is Art-o-mat's 20th anniversary, and as you can guess, there are several events and celebrations surrounding this milestone. You can also find a plethora of articles on Art-o-mat that provide a thumbnail sketch of the 300+ artist initiative. But I wanted more than short articles and quick soundbytes. So on Wednesday, June 7, my husband, Steve, sat down with Clark at Art-o-mat International Headquarters (also known as Clark's house). There, Clark opened up on so many questions I have had about this cultural arts phenomenon. Steve recorded the interview as a podcast so you can hear it, too. and why the phenomenon continues to grow in popularity. Check out the interview in this podcast episode here. Clark is a North Carolina-born artistic treasure - and I am so proud of his artistic success, his perseverance, and all he has accomplished. I hope that listening to this interview inspires you to pursue your own creative goals. If you want a refresher in exactly what Art-o-mat is, you can check out this blog post. 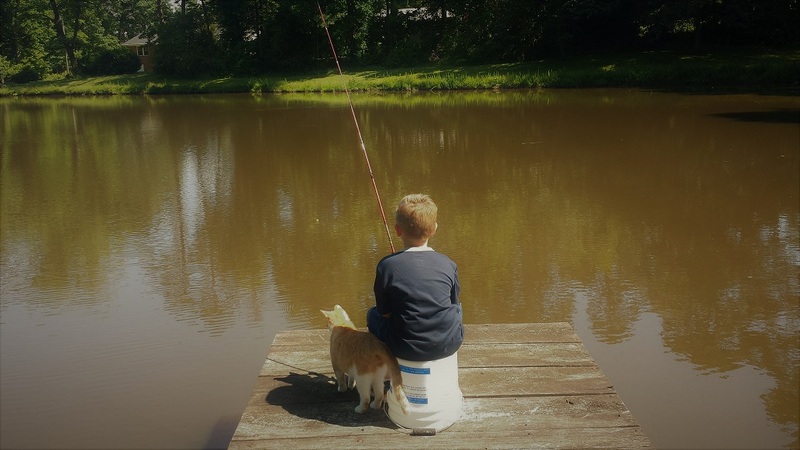 On June 10 at the SouthEast Center for Contemporary Art (SECCA) in Winston-Salem, NC, I and many other Artists in Cellophane will create art in live demonstrations and art classes for families. Over the last couple weeks, both I and Clarice have produced art to take to the show. If you come, you will be able to view machines on loan from their host venues and to purchase art directly from some of the machines or from artists on site. The fun starts tomorrow at 1 pm and lasts until 5 pm. Winston-Salem has much to offer, so I hope you can spend some quality time in this great city this weekend. The event is free and open to the public. 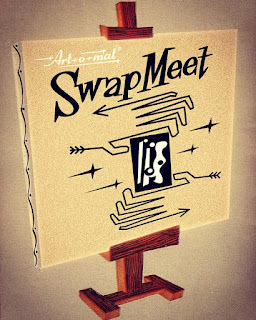 It's called a Swap Meet because Artists in Cellophane may swap some pieces with each other to build up our individual collections. Here are some pieces that Clarice and I have worked on getting ready. Alex calls these my "seaweed" paintings. He is exactly right because Matisse created a lot of seaweed Cut Outs like "Algue Rouge sur Fond Bleu Ciel," right up to his death in 1954. You can learn more about Matisse here with resource links for you on my blog. 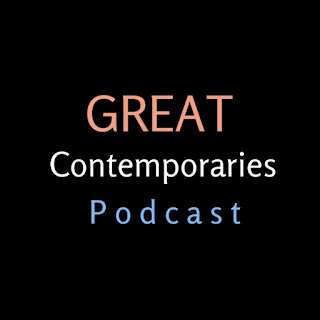 Hope you enjoy the podcast and that you get to take in some great art this weekend!